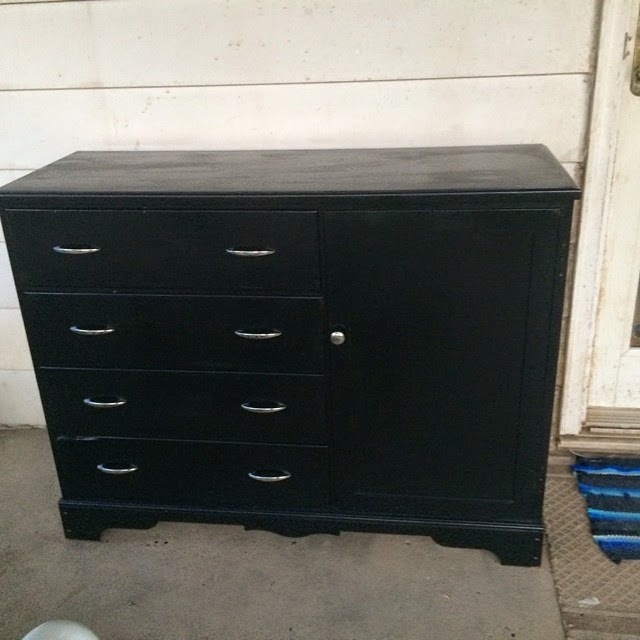 so, i was driving down the road one day when i saw this dresser sitting on the curb with a "free" sign on it. provided it's not in too terrible of a shape. we scooped it up and took it home. 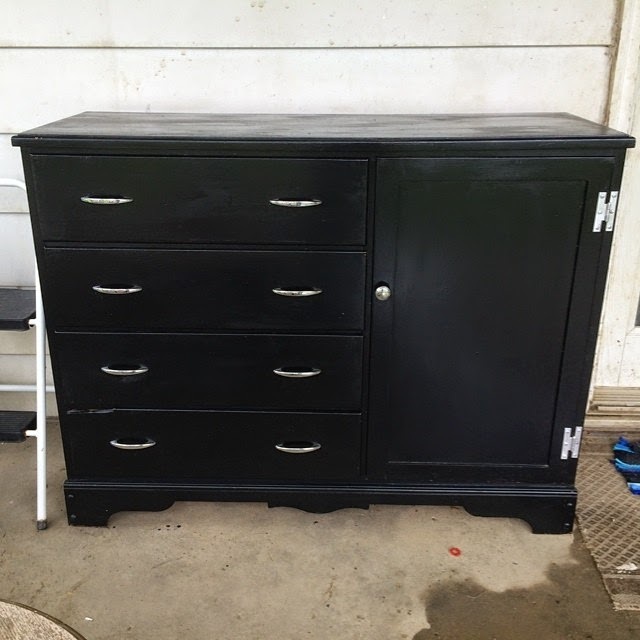 i bought new hardware for the drawers and a knob for the cabinet. 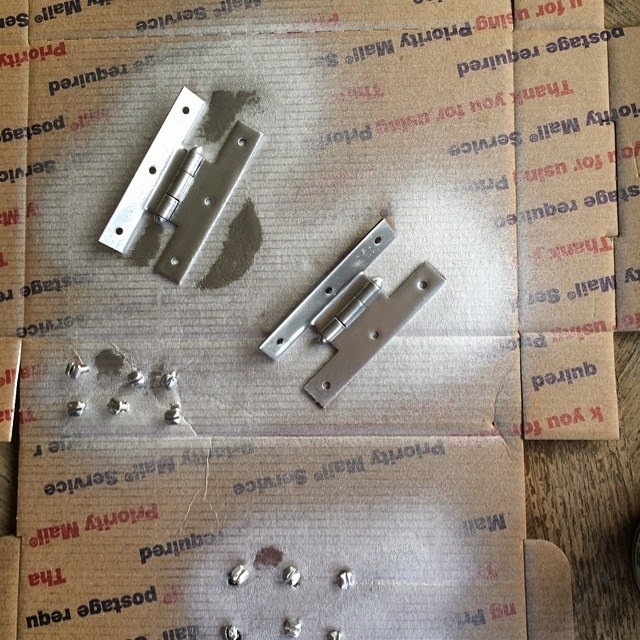 however, i had a heck of a time finding hinges for the cabinet door. they were a specific type and they only came in a few colors. so i ended up buying some chrome spray paint and painted the old ones. 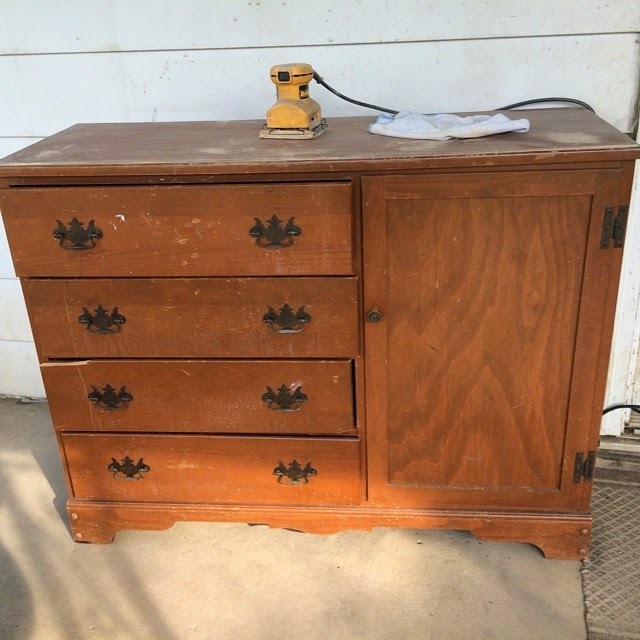 for a free curbside treasure. 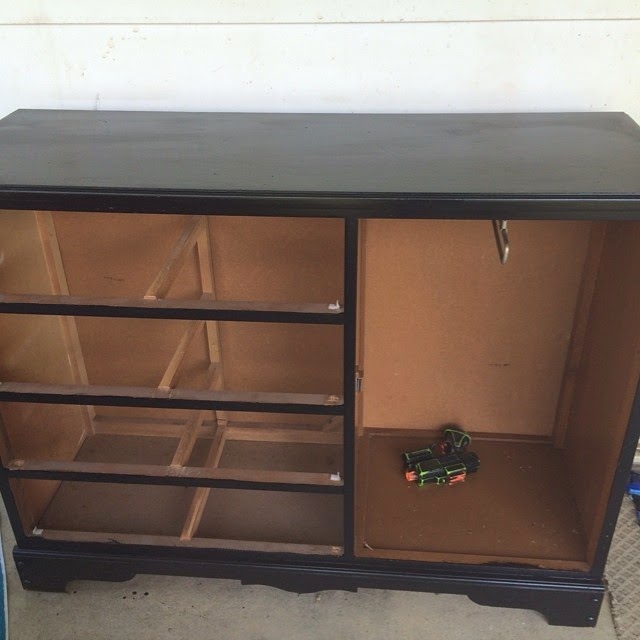 i think this old thing still has a long life ahead of it....i love how it turned out. we made it fizzy too. and there are many ways to make it. it's also super cheap and fun entertainment. I like to take equal parts cornstarch and water and add food dye. I make lots of different colors to make it more fun and interesting. we use foam brushes too, but you can use any kind of brush or even your hands. the fizzy part comes when spray it with vinegar. the paint gets bubbly and fizzy and if you listen carefully, you can even hear it crackle. which we did not spray....and this pic that was sprayed with the vinegar. the lettering is more thicker here, than the other one. sidewalk chalk paint will probably always be a favorite around here. The Fat Quarter Shop recently launched their first ever Fat Quarter Shop T-shirt - Sew What? 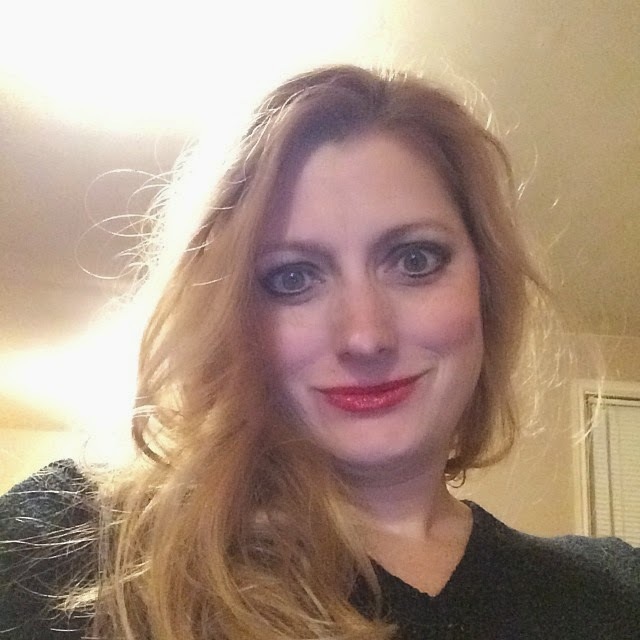 and to spread the love, they are hosting a Sew What Selfie Contest on social media! 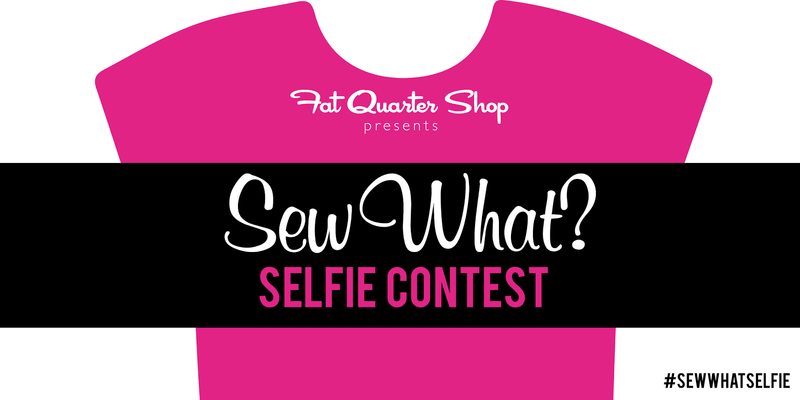 The contest begins today, July 8, 2014 and to enter, all you have to do is take an awesome selfie with your Sew What shirt, hashtag #sewwhatselfie, and tag @fatquartershop on Facebook, Twitter, Instagram and/or Google+. Wherever you post, that will count as one entry, and they will find your posts by the #sewwhatselfie hashtag! Two winners will be chosen every month from July through September and the winners will receive a $100 Fat Quarter Shop gift card - how awesome is that?!? So here's a recap on what you have to do to enter! Use the tag #sewwhatselfie and tag @fatquartershop , so they can find your picture! What??? You don't have a Sew What T-shirt yet? add a drop of dish soap in the middle and watch it swirl...you can also use a q tip dipped in dish soap to make things move around and swirl them more....Nathan loved it. Nathan loved it so much that he did this over and over using different colors. Try adding another drop of soap to see if there's any more movement. If so, you discovered there are still more fat molecules that haven't found a partner at the big color dance. Add another drop of soap to start the process again. Check out Steve's website for other cool science experiments for kids.